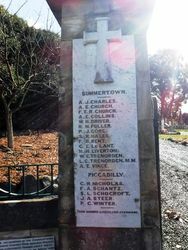 The Summertown Memorial Gates were erected by the members of the Summertown Women`s Comfort Fund, bereaved parents and friends in memory of those who died in service or were killed in action in World War One. If there are any who think the memory of the heroic soldiers who took part in the world war will fade they have overlooked the influence of the women. During the war the women suffered anxieties which made a deep imprint upon their minds, and now that the war has passed and the grief of bereaved ones is not poignant there is evidence on every side that the memories ot the husbands, fathers, and sons who made the great sacrifice are to be kept green. To this end the women of Summertown, Uraidla, Piccadilly, and Carey's Gully have combined in the erection of a monument to the fallen brave of that district which for beauty and impressiveness will be hard to excel. The memorial comprises two beautiful wrought iron gates, hung on massive stone pillars, with a scroll above. Flanking the gates are iron fences on low walls, forming a crescent. 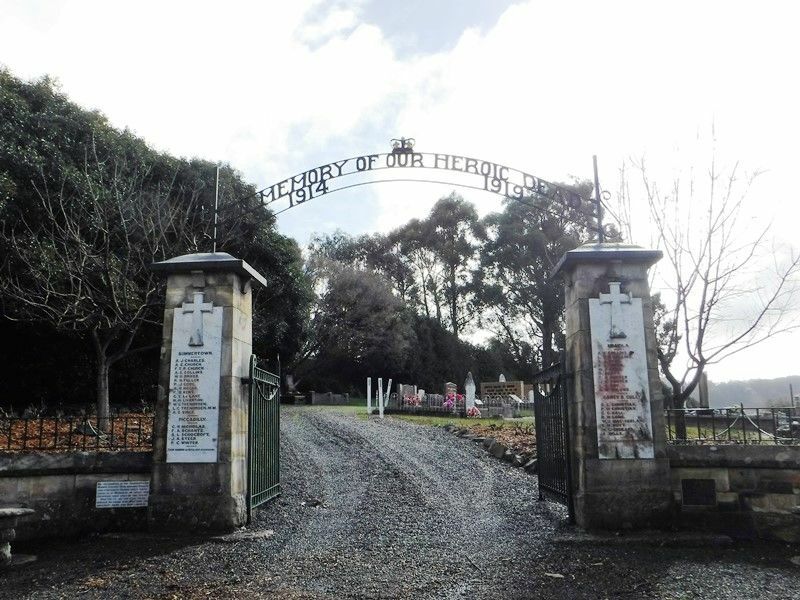 These gates have been placed at the entrance to the Summertown Cemetery, where sleep many of the pioneers that gave to South Australia the due stock which made Australia's army famous. 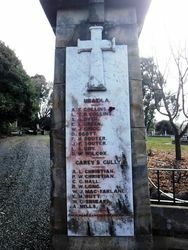 On the gate pillars are marble slabs bearing the names of the dead soldiers and surmounted by the cross of sacrifice. The scroll connecting the pillars carries, above everything else, a crown, the emblem of reward, and the epitaph, "In memory of our heroic dead, 1914-1919." On the flanking piliars are swords, emblems of power. 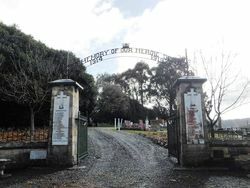 The gates were officially opened on Saturday last by Colonel S. Price Weir, D.S.O. Chronicle (Adelaide), 30 October 1920. Their names liverth for evermore. We, the members of the Summertown Women`s Comfort Club, bereaved parents and sympathetic friends, erect these gates as a memorial to those who sacrifice their lives in the Great War for us, we are glad to do homage to those who have paid the greatest price for our liberty.